In an effort to provide Obama with cover and respond to Russian Foreign Affairs Committee chairman Alexei Pushkov’s mocking of the Washington Navy Yard shooting, National Public Radio (NPR) dug up some facts about shootings and gun crime around the world and made a startling discovery–the U.S. has more guns than Russia but fewer homicides. There are fewer than 13 million firearms in circulation in Russia, compared with an estimated 300 million in the United States. That works out to about 9 guns per 100 people in Russia and close to 100 guns per 100 people in America. [Yet] the most recent homicide statistics for Russia show there were 21,603 [murders in Russia] in 2009… [while] the United States had 13,636 homicides in 2009 with a population that is more than twice as large. 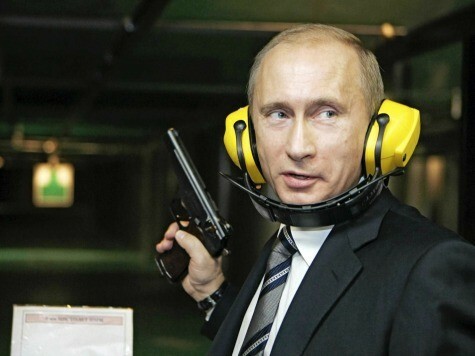 Russia has the type of gun control law Democrats in the United States have being pushing since Columbine. In the world of Piers Morgan or Senator Joe Manchin (D-WV), such background checks should be a great remedy for crime. Instead, they are just another part of a larger gun control scheme that keeps law abiding citizens from obtaining the weapons they need to defend their lives and the lives of their families. Approximately 300 million guns are in circulation in the United States versus fewer than 13 million in Russia, yet the homicide rate in Russia far exceeds the homicide rate in the United States. The U.S. has more guns and fewer homicides. Might there be a correlation?